THE LEVANT NEWS – Geneva: A delegation representing Syria’s main opposition umbrella group arrived in Switzerland on Saturday to attend U.N.-mediated peace talks aimed at ending the five-year-old conflict, a spokesman for the body told AFP. Peace talks aimed at ending Syria’s five-year civil war got off to a shaky and chaotic start Friday, with the main opposition group at first boycotting the session, then later agreeing to meet with U.N. officials – while still insisting it would not negotiate. That small commitment by the group known as the Higher Negotiating Committee came just minutes before U.N. special envoy Staffan de Mistura met with a delegation representing the government of President Bashar al-Assad. The developments gave a glimmer of hope that peace efforts in Syria might actually get off the ground for the first time since two earlier rounds of negotiations collapsed in 2014. The conflict has killed at least 250,000 people, forced millions to flee the country, and given an opening to the ISIS militant group to capture territory in Syria and Iraq. It has drawn in U.S. and Russia, as well as regional powers such as Turkey, Saudi Arabia and Iran. The HNC, a Saudi-backed bloc, had previously said it would not participate in the U.N.-sponsored talks without an end to the bombardment of civilians by Russian and Syrian forces, a lifting of blockades in rebel-held areas and the release of detainees. An HNC statement said the opposition decided to take part in the talks after receiving assurances from friendly countries about those humanitarian issues, and that a delegation headed by HNC chief Riad Hijab will leave Saudi Arabia for Geneva on Saturday. Only once the conditions are met will the delegation negotiate, the statement added. “We have decided to participate in a political process to test the seriousness of the other side through talks with the United Nations team about the implementation of international and humanitarian commitment as an introduction to the negotiations process and to move toward forming a transitional governing council with full executive powers,” the statement said. De Mistura said he had “good reason to believe” the HNC would join the talks Sunday but refused to react formally until he got an official notice from its leadership. “As you can imagine, I have been hearing rumors and information already,” de Mistura told reporters after meeting with the delegation led by Syria’s U.N. ambassador, Bashar Ja’afari. “The United States further expects that both sides in these negotiations will participate in good faith and achieve early, measurable progress in the days ahead,” he said in a statement. French President Francois Hollande’s office called for quick enactment of humanitarian aid measures for Syria under a U.N. Security Council resolution. The decision by the HNC came after many Western powers and Saudi Arabia – a major backer of the group – had pushed hard for it to attend, diplomats said. Disputes have arisen over which opposition parties will attend, with the HNC coming under criticism for including the militant Army of Islam group, which controls wide areas near the capital of Damascus, and is considered a terrorist organization by the Syrian government and Russia. The largest Kurdish group in Syria, the Democratic Union Party or PYD, is not invited to the talks. 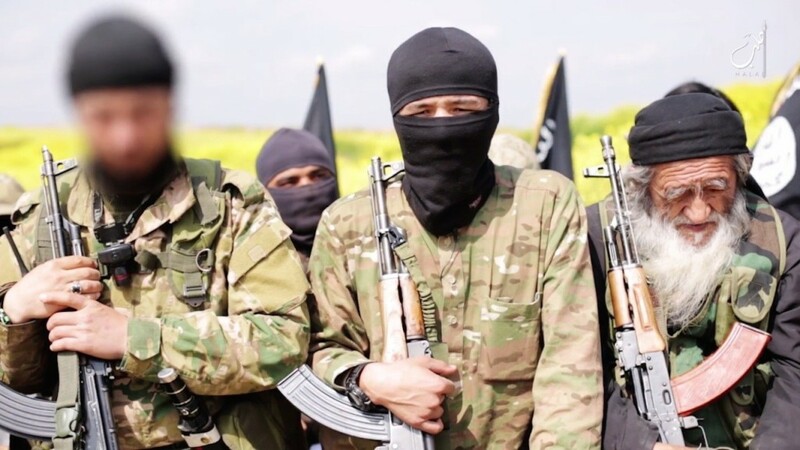 Turkey considers the PYD to be a terrorist organization. Also not invited are the ISIS group and the al-Qaeda-linked al-Nusra Front. Opposition figures from outside the HNC also are in Geneva, but they were invited as advisers. 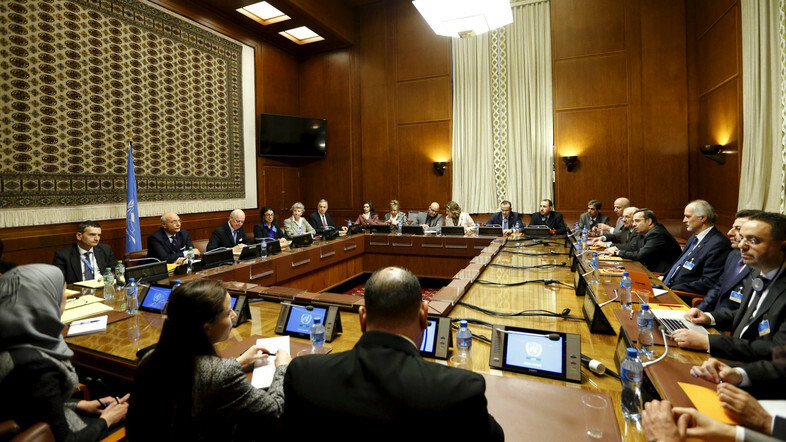 The meetings, billed as multiparty talks, are part of a process outlined in a U.N. resolution last month that envisions an 18-month timetable for a political transition in Syria, including the drafting of a new constitution and elections. De Mistura has decided that these will be “proximity talks,” rather than face-to-face sessions, meaning that he plans to keep the delegations in separate rooms and shuttle in between. He has tamped down expectations by saying he expects talks to last for six months. Ja’afari, the Syrian envoy, declined to speak to reporters as he left the meeting with de Mistura. Turkish President Recep Tayyip Erdogan said the moderate opposition was not attending because Russia continues to bomb rebel-held areas in Syria, and that it is a “betrayal” to the moderates to ask them to attend without a cease-fire. Qadri Jamil, a former Syrian deputy prime minister who has become a leading opposition figure but is not part of the HNC, told The Associated Press that the priority was to allow aid into besieged areas. A Western diplomat in close contact with the opposition said in Geneva that the HNC’s “main message to us has been, ‘while we are under sustained attack by Russia and the regime and other states and militants and other groups, we cannot justify to Syrians why we are going.’” The diplomat spoke on condition of anonymity because he was not authorized to talk to reporters on behalf of the opposition. Reflecting the growing outside military presence in Syria, the Dutch government said Friday it plans to join the U.S.-led coalition targeting the ISIS group in Syria with airstrikes. The Dutch have for months been carrying out airstrikes in neighboring Iraq, but have balked at extending the mission to Syria. But after requests from the U.S. and France, Dutch Prime Minister Mark Rutte’s two-party coalition government decided to broaden the mandate to eastern Syria. Syrians trapped in the besieged town of Madaya are continuing to die of starvation despite shipments of aid this month, the humanitarian group Doctors Without Borders said. The town northeast of Damascus has been blockaded by government and allied militias for months and drew international attention when photos of emaciated children were published.